The Matagorda Texas Web Site - 2014 is here! Welcome to Matagorda Texas and Matagorda Bay - Visual Tour of Matagorda Texas - Fishing, Motels, Hotels, Restaurants, fishing guides, and More! Welcome to Matagorda, Texas....Summer time in Matagorda Texas, 2018 is almost here!! Our coastal Matagorda weather is starting to warm up, and along with that, the bay and surf fishing, plus all the fun to be had on sunny Matagorda Beach. Matagorda Bay Fishing is always the MAIN focus here and catching those big TROUT in Matagorda Bay continues to be the quest of many anglers along with bull reds from the surf....! The new bridge over the intracoastal waterway was completed several years ago and that makes beach access a lot easier for those visitors wanting to get sandy. The bridge also gives us some great views of East Matagorda Bay. Time certainly has not stood still and there have been lots of changes in the past years and more to come! Great Place to Stay while in Matagorda....! 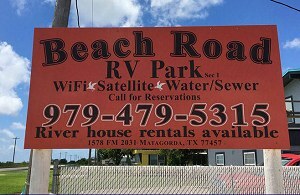 rentals on the Colorado River, Matagorda Beach Condos, and More...! Looking for a nice Matagorda Rental property...? Find them listed here! Take a Look at What We Have to Offer....! to everything that is MATAGORDA...! See it live from home! Courtesy of MatagordaBay.com...Visit their site! Matagorda Day | Photos of the Parade! These WEB SITES have been recently added...Click Here! and cannot be used for any other purpose without consent of webmaster.